Maps of Ride Routes Page. NOTE: rides or dates may change so please check the Event closer to the time. What is Meetup?It is a free, very popular and convenient website that many people use to find and plan activities. We use it because it gets new people in, who may not have heard of Bike Leichhardt. If you find it convenient, please sign up to it, but check our main website for more details and other activities, like advocacy work and discussions of local issues. All riders- Please bring a spare tube to fit your wheel size, plus a puncture kit. Don’t forget to RSVP! Easy Rides– Easy-paced morning spin somewhere fairly local, back by noon. Usually on the first Sunday of the month. Good for beginners or returnees. The leader will stop and regroup regularly, so the ride stays together. Typically 20 to 30 km distance. 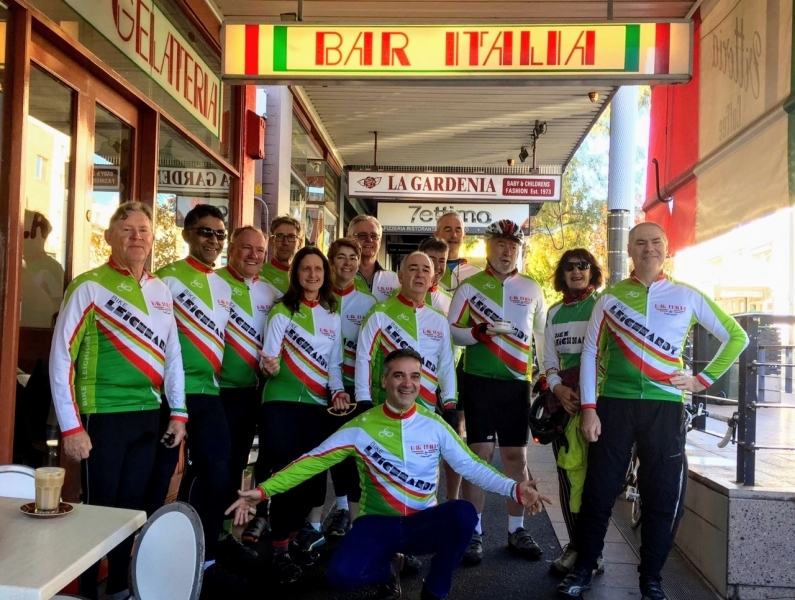 Rides start at Bar Italia, Norton St, Leichhardt, at 815 am. Get there earlier if you want a pre ride coffee. Download the flyer. Sunday Rides– longer, 45 to 65 km, but moderate paced rides during the month to test you out a bit more than EasyRides, usually some hills involved but not too hard. We wait up to regroup, so we don’t lose anyone. 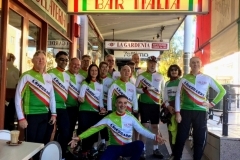 May start at the Bar Italia or at a station if we are heading out of town, eg to Windsor for the Kurrajong Ride. Challengers– Harder rides, 60 to 100km, but generally at a moderate pace, with a few hills usually. Meant for the more experienced or stronger cyclist. May start earlier or at a different place, eg Tempe Station for rides to Royal National Park or Hornsby for Galston Gorge. Usually on the last Sundays of the month. Check Events for latest details of rides and other activities on the Home page. Weekends away and longer tours. We have about 6 of these every year, depending on interest and enthusiasm. If interested in touring join the Touring Group (under GROUPS) and let ride leaders or proposers know early if interested, so planning can go ahead. Suggest a tour, probably someone will agree! **See a list of our regular rides, with links to the maps on Bikely.com. RISK WARNING. Cycling can be a dangerous activity. Risks include falls, collisions, exhaustion, sun damage, severe weather. If participating in an Bike Leichhardt ride we ask you to read and sign our Risk Warning on the ride form, which ride leaders will have. We recommend you join Bicycle NSW, which covers you for third party damage you may cause and also gives you personal injury insurance. Don’t forget to bring a spare tube and puncture kit, plus sunscreen and an energy snack. Sunday 13 March 2016 Gear Up Girl. Sunday September 11 or 18 (tba) Leichhardt Big Bike Day Fun day for cyclists of all ages. Council and Bike Leichhardt organise the day. Volunteers always welcome, get involved. BikeFest in Newcastle 2-4 October. National Ride to Work Day- Wed October 19, 2016. Register for chance to win prizes at Ride2Work. Free breakfasts in some cities or areas. BNSW Spring Cycle in Sydney, October 2016 (date tba). 15-50-or100 km charity ride from North Sydney to Olympic Park. Volunteer and get a free entry. Sydney Cycling Festival 16 Oct to 23 October 2016, includes Bicycle Film Festival and many rides and events.